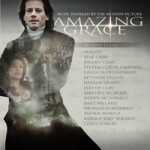 Recently posted on WingClips are clips from the film “Amazing Grace” prior to the theatrical release on 02/23/07. 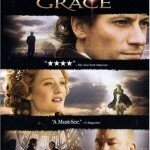 Amazing Grace is true story of William Wilberforce and his quest to abolish slave trade in the 18th century. WingClips launches a new movie site targeting pastors. WingClips.com capitalizes on the growing trend of multimedia in churches and the needs of pastors to become more visual and contemporary. Movies have the unique ability to form a lasting impression quickly and effectively. After all, most of us can recount specific scenes or recite quotes from our favorite films, yet few of us can recall the central theme of last week’s sermon. Let’s face it, movies are our modern-day parables and pastors don’t want to be left in the dust. Lately, pastors and teachers have not only accepted this growing trend, but embraced it with open arms. According to the Barna Group, a marketing research firm that tracks trends relating to values and beliefs, over 61% of pastors now incorporate videos into their sermons. Before WingClips, the only visual illustrations available for pastors were the low quality videos found on other sermon video sites that cost up to $20.00 per download. But, WingClips provides pastors with a Free Subscription, where you can preview and download every clip without entering your credit card. A “Premium Subscription” is also available which offers higher resolution, multiple formats, and unlimited on-line tech support. There is no additional licensing required with either subscription. Since the recent blockbuster successes of “The Passion” and “Narnia,” studios have been searching for ways to tap into the movie-going church market. And WingClips has positioned itself to become a major influence on this virtually untapped audience. “Our goal is not only to provide pastors and teachers with great movie illustrations, but also to help promote good, quality films,” says WingClips president Mitchell Irion. Now instead of your pastor or teacher urging you to follow through with your dreams, he can play a clip from “The World’s Fastest Indian” and Anthony Hopkins can inspire you himself.